In SSMS click on file – Connect to object explorer. 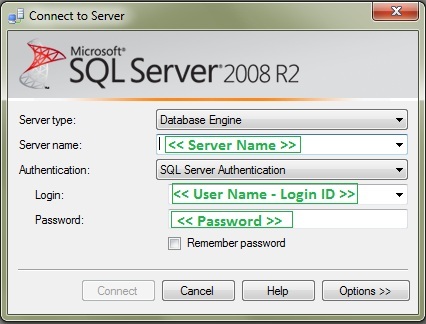 In the connect to server give the details of server name , login ID and password. Note: Select the correct Authentication while connecting to the server. Contact your database administrator for details of the authentication that you have to use while connecting.